Grow your business by reaching more people searching online for your products and services, when you join the UK’s No.1 Wedding Supplier Directory, an expanded feature of the leading Wedding one-stop-shop. 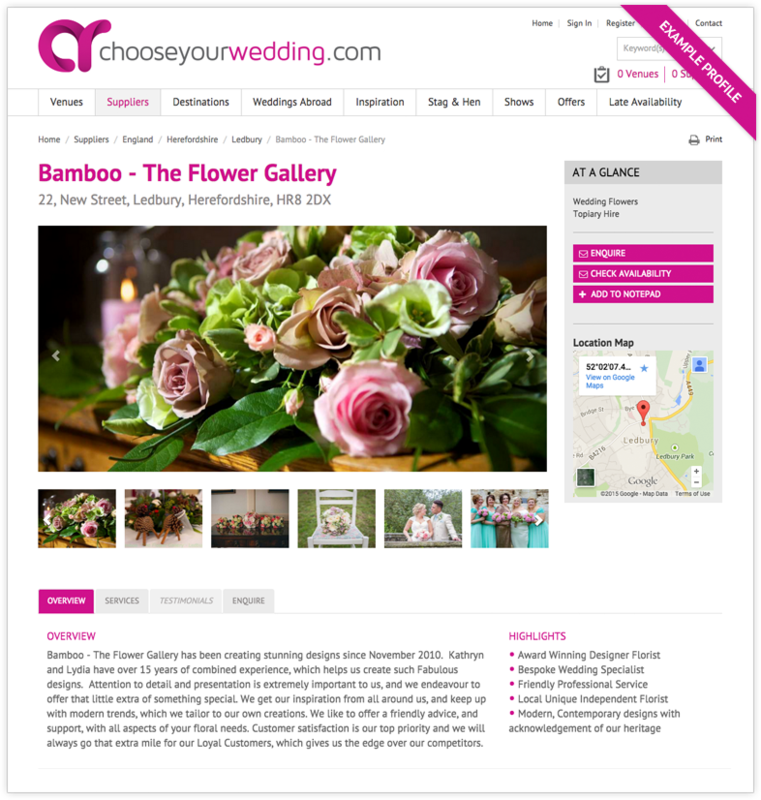 Our Wedding Suppliers Directory has a proven track record of delivering more views, more enquiries and more bookings. Because of our investment in promotion, huge choice of suppliers and easy to navigate site, we attract more targeted users. Now you have a chance to create a FREE Listing on our site. Pay nothing unless you decide to keep your listing after your 12 months free trial. No payment or card details required. Just say ‘I do’ and receive your free listing for 12 months! Sign up now! You could start receiving enquiries today! Hurry! Offer must end soon! Our sign up process is simple. Complete a short form and within a few days you’ll be promoting your business to thousands. This offer is completely FREE of CHARGE! You pay NO COMMISSION and there are NO HIDDEN CHARGES!